Would you like to help kids have inner confidence while making a living? Can you imagine a world where every student took responsibility for themselves, their thoughts, their feelings, and their emotions? A world where every student knew and appreciated their own unique gifts? A world where students embrace those who seem different from them? A world where every student felt capable of choosing their feelings, and empowered to take control in a positive way in situations that challenged them? I’m Jill Hope, Founder of I Shine at ishinekids.com, and I can imagine that world. In fact, at I Shine, we’ve created a unique and innovative school curriculum that is helping to create that world, one student and one classroom at a time. 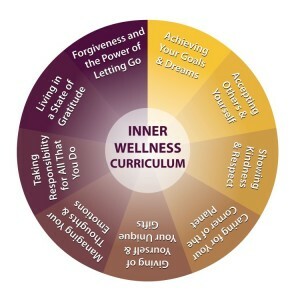 The I Shine Inner Wellness Curriculum Certification Program is a 9 month, 34 lesson, character and self-esteem building curriculum that focuses on the emotional and social wellness of children in Grades 3-5. The program was built to allow maximum flexibility for the teacher, so that it can easily be taught alongside the required curriculum. To learn more about the benefits of the program for your students, please view the video below. Show how ultimately, each student can have a positive impact on the lives of others. The I Shine Inner Wellness Curriculum Certification Program is best suited as an introduction in Grade 3, with further repetition and reinforcement in both Grades 4 and 5. Due to the prepared, easy to follow, and flexible nature of the I Shine program, it can easily be integrated into the existing school curriculum with minimal preparation and impact for classroom teachers. Students feel more confident in asking a peer to stop when they felt the peer was bossing them around or trying to control them in some way, in other words, bullying. There is great value in the conscious breathing exercises at the start and end of each lesson as they allow both teacher and students to become centered and focused on the lesson at hand. The benefits are even extended during class times other than during the wellness lessons. The introduction of a vocabulary of words that describe social/emotional situations the students are faced with has been very beneficial. Students are making tie-ins back to these concepts when situations present themselves during the day, and are able to better express themselves and their feelings about these situations. For example, when Spanish class was canceled, the students just said “we’ll just go with the flow”, a concept discussed in Module 4. In another example, when a student had a concern about a friend, where previously she would have asked the teacher to get involved, the student now told the teacher she felt confident to speak to the friend on her own. The students feel the lesson time offers a safe space to express themselves and share their feelings without judgment, which is leading to greater overall acceptance amongst the students. The program offers a good flow with enough flexibility to be easily integrated amongst the other priorities and teaching requirements. If you are interested in learning more about the I Shine Inner Wellness Curriculum Certification Program, or in exploring the possibility of integrating this program into your classrooms, please contact Jill Hope at jill@ishinekids.com.